Shanghai cuisine. An interesting guide for those who want to rent an apartment in Shanghai. Home»Shanghai cuisine»Shanghai cuisine. An interesting guide for those who want to rent an apartment in Shanghai. If you are an expat looking for an apartment in Shanghai and you are worried for the food, here there is a guide about Shanghai cuisine. Chinese cuisine is varied and tasty and is surrounded by many myths that are often true. The main component of the meal is rice, which is usually associated with vegetables; meat and fish served with many condiments and usually produce a mixture of flavors. Although Chinese food is represented in all parts of the world, a Chinese restaurant that can be found in other countries does not have much to do with those found in China, since the latter are used in all parts of the animal to prepare most of the dishes. Shanghai hairy crab: Native species and one of the most famous dishes in town. Shanghai cuisine can fit expats living in Shanghai. Xiaolongbao: dumpling filled with soup and meat is steamed. Cí fàn Tetuan: Glutinous rice in fried dough. Jiaohu ji: The “beggar chicken” served with lotus leaves, covered with plaster and cooked in the oven. Tangcu xiaopai: Ribs with sweet and sour sauce. Dim sum: steamed dumplings made ​​from different ingredients. 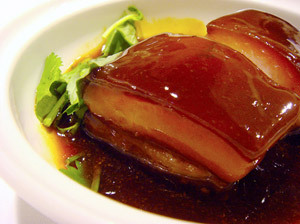 It is more typical of southern Chinese dish. In some restaurants are called and dumplings are usually served in small bamboo baskets. Hot pot: Set of food being cooked in a hot broth that is at the center of the table. This “Chinese fondue” offers the chance to see the food before cooking and mix with the sauce. Shengjian mantou: pan fried bun stuffed with pork. Fermented Tofu: Tofu marinated in fermented vegetable broth. Its odor is characteristic. Sōnghuādàn: Known as egg centenary, this Chinese treat is wrapped in clay and ash for several weeks or months egg. Buy a greenish color, gelatinous texture and smell of strong cheese. Peking duck: While it is typical Peking duck marinated and grilled served sliced ​​and eaten on a crepe is also a very common dish in Shanghai. There are a lot of good Peking Duck restaurants in Shanghai that I will recommend. China drink as originating in the country there are countless types of tea and people consume this drink with great assiduity. Besides tea in restaurants you can find some spirits, beers and wines from local processing. Although some restaurants you close the kitchen at 21:00 pm, you will have no trouble finding fast food chains and other restaurants that are open 24 hours a day. Recommended areas in Shanghai to eat and rent an apartment. Traditional restaurants are spread throughout the city and difficult narrow areas. If you are tired of Chinese food in Xintiandi, one of the trendiest areas of Shanghai, find Italian, Thai, French and even Spanish. Another good option, but not too cheap, we dine at one of the scenic Bund area restaurants, from which stunning views of the buildings in Pudong are obtained. If you want to enjoy Shanghai at its best, that is, from above and preferably at night, you cannot stop for dinner or a drink at one of the bars and panoramic restaurants. Tower Revolving Restaurant Television: Both the food and dinner this restaurant offers a buffet at an acceptable price, 150 yuan per person (not included entrance to the tower). Revolving Restaurant at Hotel Radisson Blu New World: Located on the 45th floor of the hotel, this restaurant offers enviable views of Shanghai. The hotel is in People’s Square. Club Jin Mao: Restaurant located on the 86th floor of the Grand Hyatt Hotel in Jin Mao Tower. Vue Restaurant: Located on the 32nd floor of the Hyatt on the Bund Hotel, this restaurant offers the best views of Pudong and the Bund. M on The Bund: Great terrace with good views of Pudong. It is located in the Bund, on the corner of Guangdong Lu. Cloud 9: Located at 330 meters high on the 87th floor of the Grand Hyatt Hotel (Jin Mao Tower), the Cloud 9 is one of the most famous bars in Shanghai. The cover charge is about 70 yuan. The Dome: Panoramic Bar located at 208 meters high, on the top of the Radisson Blu Hotel New World, in People’s Square. Vue Bar: Bar with the best views of Shanghai, is located on floors 32 and 33 of the Hotel Hyatt on the Bund. At the top there are beds and a Jacuzzi. Entrance with drink costs 100 yuan.